Neither CSR nor local laws are protecting the workers in Walmart’s supplier factories from exploitation and gender-based violence. We need an instrument with more teeth. But what about labor conditions in the world’s largest exporter of apparel and countless other manufactured goods – China? Unfortunately, Walmart’s track record in that country is not much better. Reports of labor abuses at Walmart’s over 6,000 Chinese suppliers have persisted for well over a decade. For instance, a Washington Post story from 2004 noted child labor and excessive overtime at these factories. A 2006 investigation into a factory producing Christmas tree ornaments for Walmart found hundreds of high school students working seven days a week, fifteen hours a day in noisy spaces lacking air-conditioning for as little as $110 per month. Labor problems still persist today. China Labor Watch’s 2016 investigation of toy factories producing for Walmart revealed illegal levels of overtime, illegally low wages, and unsafe, toxic working conditions. The same group’s 2017 reporton a kitchen appliance manufacturer that sells to Walmart alleges horrific abuses of college student employees that likely amount to forced labor – namely, withholding their identification documents and threatening to withhold wages if they leave. A 2016 investigation of toy factories producing for Walmart revealed illegal levels of overtime, illegally low wages, and unsafe, toxic working conditions. About one year ago, an American woman found a handwritten note in the purse she bought at an Arizona Walmart, which stated that the Chinese prison inmatewho made the item worked 14-hour days and was subject to beatings. In response, a Walmart spokesperson acknowledged that finding “qualified suppliers who uphold our standards” remains a “significant challenge”, even after a decade of codes of conduct, third-party audits, and monitoring programs. The “Gender Based Violence in the Walmart Garment Supply Chain” report’s thorough investigation of this issue in a single company’s supply chain across multiple countries is unprecedented. No similar research into the prevalence of sexual violence and harassment at Walmart’s suppliers in China has been performed. Some groups, however, have examined China’s manufacturing sector more generally. A 2013 survey of 134 female factory workers in Guangzhou found that 70% of respondents reported experiencing “annoying whistling, shouts and lewd jokes,” 66% received “offensive comments about the body or appearance,” and 32% encountered “annoying touching” – causing 15% of respondents to leave their jobs. As the #MeToo movement engrossed China earlier this year, a female Foxconn employee reported that the aforementioned behaviors are “prevalent” in her workplace and create a “sexual harassment culture.” For a variety of reasons, including career concerns and a fear of being ridiculed, many Chinese sexual harassment victims never come forward. However, as I have written elsewhere, even those willing to take legal action rarely prevail in China’s court system. In light of the above, and given the breadth of Walmart’s supply chain in China, it would be quite a shock if its supplier factories were somehow free of sexual harassment incidents. Turning to the issue of worker representation, back in 2006, the All-China Federation of Trade Unions compelled Walmart to establish trade union branches in its stores; but these state-dominated unions did little to promote worker interests. As a China Labour Bulletin report details, over the last decade, Walmart employees have strived to establish independent organizations that represent and advocate for workers, but the company has consistently thwarted these efforts and retaliated against the most vocal workers. In 2016, Walmart’s decision to impose a new flexible hour working system, which would effectively deprive certain workers of overtime pay, set off employee protests, including a series of four strikes in four days. As noted by Kevin Lin, an authority on Chinese labor issues, this mobilization was remarkable because labor organizing and coordination across workplaces and regions is very rare in China. Yet, once again, Walmart has worked to squelch this campaign, with the New York Timesreporting that the most vocal workers have been denied raises, reassigned, or even fired. The retaliatory measures have also included acts of sexual harassment, including a supervisor photographing an outspoken female employee while she used the bathroom. Another female employee who protested the new policy experienced a barrage of posts to a WeChat group comprised of many Walmart coworkers that alleged she had an inappropriate sexual relationship. The Global Labor Justice report, after documenting extensive abuse at Walmart suppliers, calls upon the International Labor Organization to adopt a convention addressing gender-based violence and harassment in the workplace, including specific measures to be taken by national governments and multinational corporations. 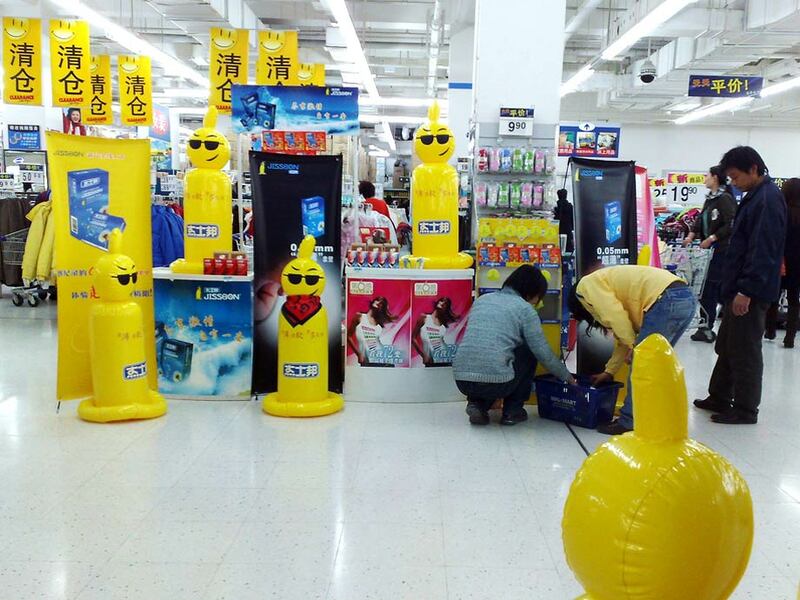 The experience of Walmart in China only supports the need for such an instrument. Until now, neither the company’s corporate social responsibility programs nor domestic laws and policies have proven sufficient to protect Chinese workers from sexual harassment or other labor abuses.